On January 10 the veil was lifted not only on one secret: Tata Motors, as expected, presented its disruptive innovation of the “One Lakh People´s Car“. The car goes by the name Nano (like Apple´s iPod Nano). At the same time large German automobile suppliers such as Bosch and Continental reveiled to what an extent they are involved in the disruptive innovation Tata Nano via their Indian subsidiaries. On this occasion India once more presents itself as an innovation centre. But what about Volkswagen´s innovation strategy ? Tata Motors has fulfilled its promise. 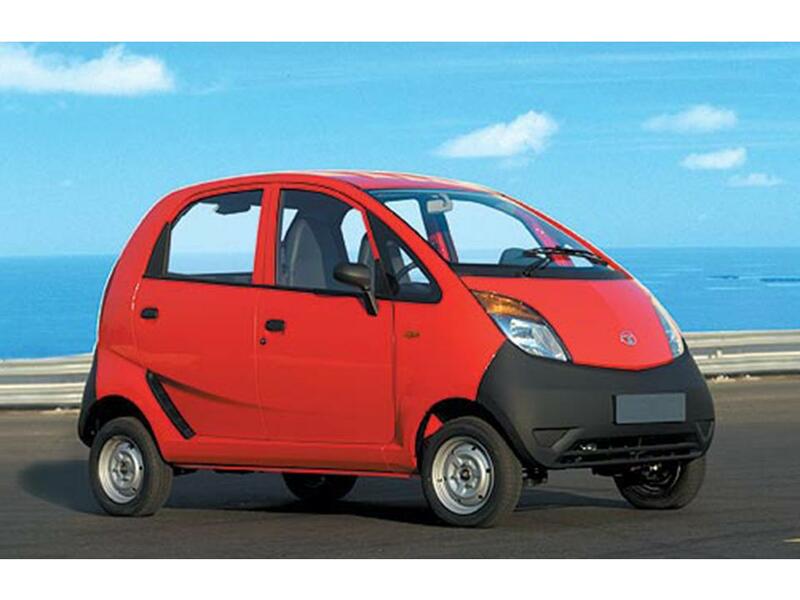 In its standard version the Nano will only cost about one Lakh = 100.000 Rupees or about 2.000 Euro. A price that so far no one could imagine as feasible. Having said this, one must add that the outer appearance of the Nano is really pleasant. The innovation of the Tata Nano seems custom-tailored for the Indian market and other emerging countries. Through this disruptive innovation the chairman of Tata Motors, Ratan Tata, wanted to find a solution for the Indian family of four members. His consumer insight was that this family oftentimes is traveling on India´s streets with all four members somehow sitting on an unsafe motor-cycle. It should be possible, so he thought, to fulfill the need of this family for a safer and more comfortable transportation means in an affordable way. The solution is now the Tata Nano, born by the innovation centre India and by the new innovation machine Tata Motors. Ratan Tata compares the Nano with the low-priced disruptive innovation of the Swatch watch in the watch market. The Nano meets the Indian safety standards, in particular it is said to have passed the crash-tests from the front, the rear and the sides. The Nano fulfills the local emission norm Bharat III and the Euro- 4 emission norm, respectively. By doing this, the Nano is claiming to cause less emissions than an Indian motor-cycle. The gasoline consumption is a bit below 5 liters per hundred kilometers. This does not qualify for world championship in low gas consumption but is still a very good consumption value. Focus on the essentials: as the current motor-cycle and scooter drivers are the main target group the Nano does without some expensive parts such as air bag (but it has seat-belts), ABS, car radio, power-steering and electric window lifts. Furthermore there is no air-conditioning in the standard model but in the luxury version. Creative innovative break-through thinking about product and business model. E.g. the speedometer is placed in the middle of the dashboard so that the same dashboard can be used for car versions with right-hand steering and left-hand steering. The door handles and door mechanisms aer identical on the right side and the left side of the car, once more in order drive the cost degression via scale. Tata Motos plans to decentralize the assembly of the Nano to a large extent and to involve independent franchisees in that. Efficiency increases of the processes. E.g. 30-40% of the Nano´s parts are being purchased via internet auctions. Metal parts are partly replaced by plastic parts that are not welded together but rather glued together. Unbeatable low wage costs at the innovation centre India. German automobile suppliers play an important part in the Nano. It was already known that BASF contributes plastic parts to this disruptive innovation. To what a large extent Bosch and Continental participate in the Nano, this is the big surprise. Both companies have in the meantime developed their Indian subsidiaries into low-cost innovation centres. Bosch is equipping the Nano with fuel-injection technology, braking-system and car elecronics via its Indian subsidiary Mico. Bosch is said to provide about ten percent of the Nano components. Contintental contributes the gasoline pump and the fill-level sensor to the Nano from its Indian innovation centre and factory. Given this large German share in the Nano, the question arises: and what is Volkswagen up to in India? How is it using the innovation centre India? Until today Volkswagen has very little presence in India, in particular in the ultra-low-cost segment. According to the Frankfurter Allgemeine Zeitung Volkswagen wants to compete in this segment. At the most recent IAA, Volkswagen presented the concept car “Up”. This car meets the most modern environmental requirements, and it should cost about 9000 Euro. But it is exactly this price which demonstrates that the “Up” will not be a serious competitor in the ultra-low-cost segment. A price of 9000 Euro would make the “Up” cost four and half times the price of the Tata Nano. The “Up” would therefore compete in a very different segment with an evidently much lower sales potential. Fact is that Volkswagen is suffering from a serious time delay vis-a-vis Tata Motors in the ultra-low-cost segment. “Low cost demands maximum innovation capabilites. This fits well to a German company”, Bosch´s division head Scheider says. Why has Volkswagen so far not seen it the same way? VW spokesman Schröder opines that VW so far cannot imagine itself surfing the “wave of cheapness” as some of its competitors are doing. “We are looking through the European glasses, and try to transfer our know-how to India”. I suppose that this will turn out to be the wrong pair of glasses. For the Indian market and the local Indian needs rather the Indian glasses should be put on, and the specific advantages of the innovation centre India should be exploited. Somewhere else a VW spokesman is quoted saying that VW would not be able to realize such an Indian car like the Nano. The explanation: “Because our engineers are not capable of such technically lateral thinking as the Indians”. It is for this very reason that innovation leaders such as the innovation machine SAP or the innovation machine GE or Cisco transfered their respective innovation centre for low-cost products to markets such as India already some time ago, and why they employ local engineers at those locations who are used to this local ultra-low-cost mindset and who know the Indian market and its consumers inside out. The comments made concerning Volkswagen´s innovation strategy certainly apply in a similar form to the yet unclear innovation strategy of the innovation machine Toyota. Meanwhile Tata Motors is about to establish itself as a new innovation machine in the car market. On the innovation platform of the Tata Nano, Tata Motors is not only introducing a luxury version with e.g. air-conditioning but it is planning to also launch incremental innovations such as Nano versions with more powerful motors, with Diesel engines, with automatic transmission etc. in order to broadly occupy the ultra-low-cost segment. And then there are still Tata´s innovation concepts of hybrid cars, above all the radical innovation of a hybrid car with a combined compressed air + gasoline engine, which is being developed together with the small French company MDI. The Western car companies will have many reasons to beware.